← Back to School Sale, all month long! 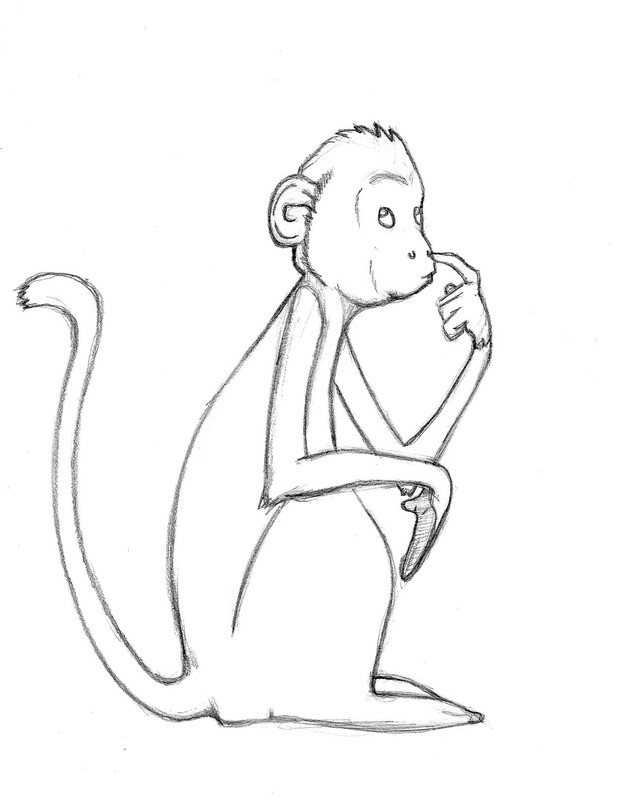 Joe MUNKY sketch. This was the first design I ever did for this brand. I sat on a comfy chair and drew it in about 15 minutes. Definitely a sign I was meant to do this. Here is how the image ended up on a shirt. To this day it is still one of my best sellers. Is he picking? Is he thinking? Who knows! Recognize this guy? 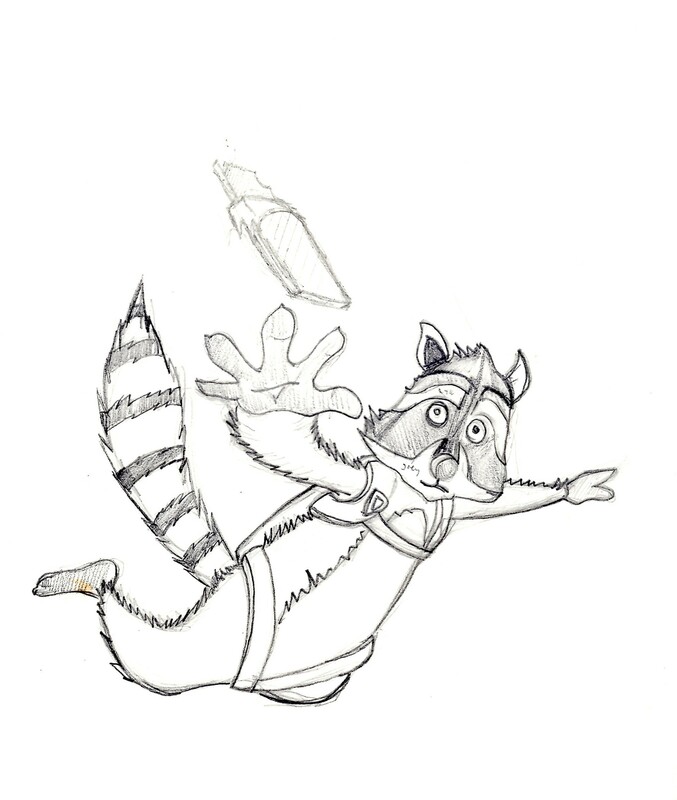 Ryan Raccoon was a fun shirt to design. It was definitely one of my more random tee releases. Candy Bars in Flight is one of my favorite shirt names. I added the airplane and clouds via AI, and bam! Pretty sweet tee. One of my best designs ever. A huge seller. Spots & Shades, I have to admit, is one of my best drawings! 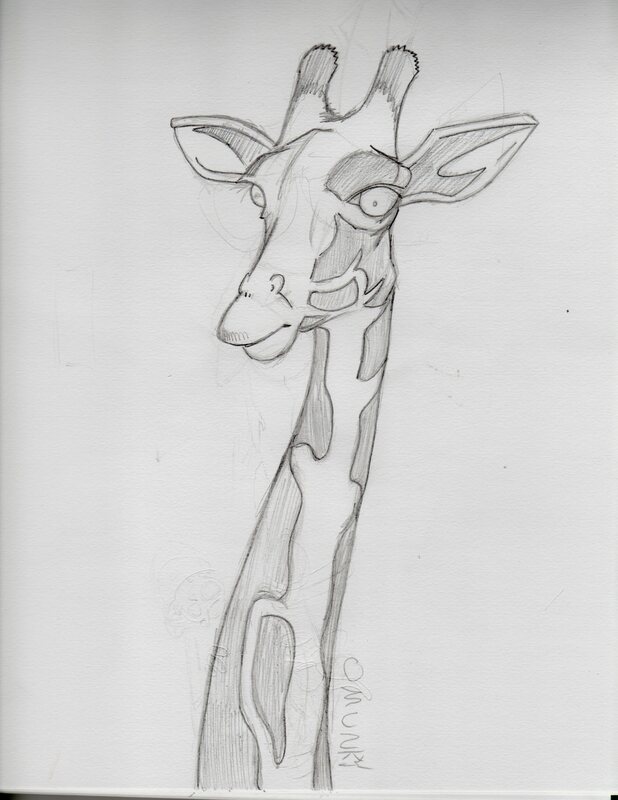 Look how sweet that giraffe looks! Well now, there you have it. A little sneak peak behind-the-scenes. One of the coolest things for me to see is someone enjoying my shirts, because the fact that the animal on the tee was at one time in my head still amazes me. Now I am going to do something I have never done. I am going to give you guys a preview of what’s to come. 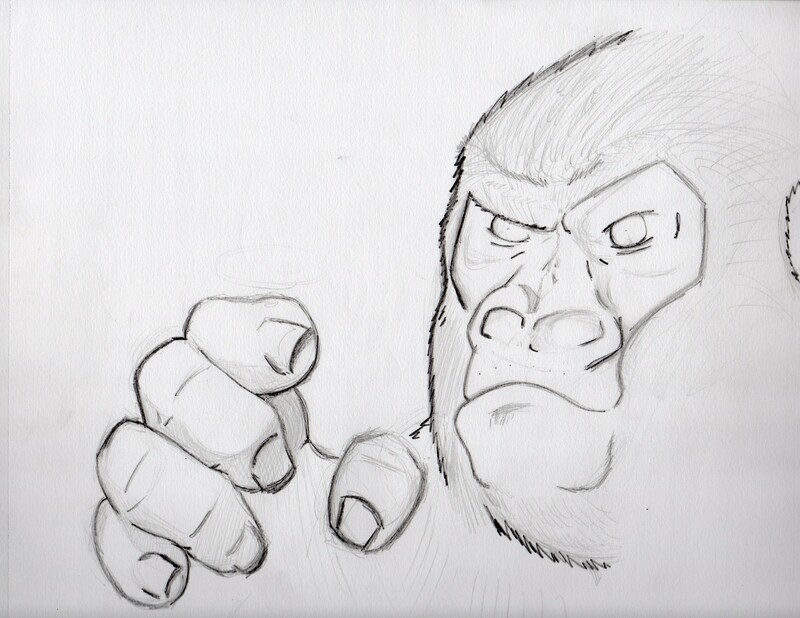 Here is a rough sketch of the next OMUNKY tee to be released in the following month or two. Yea, that's right. You don't know what's going on, which is just the way I like it. This shirt promises to raise the bar on all OMUNKY tees. It will not disappoint. I hope you enjoyed yourselves this evening. Keep a look out for better and better designs to come. Subscribe to my newsletter to know exactly when this shirt will be released. Ta ta for now! This entry was posted in behind the scenes and tagged animals, eco, event, fun, funny, info, news, newsletter, photos, shirts, tees. Bookmark the permalink. 1 Response to From my head to your chest….